The Associate of Applied Business in Networking and Information Systems Support provides a powerful combination of career and continuing education options. This degree provides a milestone for students who are retraining or preparing for quick entry into the profession. Preparation for industry recognized certifications such as COMPTIA Network+ and Microsoft Certified Professional (MCP) are embedded in course sequences within the program. Accredited by the Accreditation Council for Business Schools and Programs (ACBSP) through February 15, 2022. 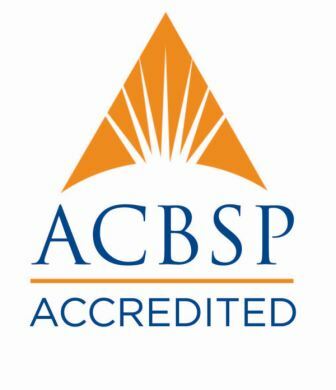 For more information concerning accreditation standards contact the Accreditation Council for Business Schools and Programs (ACBSP), 11520 West 119th Street, Overland Park, Kansas, 66213, phone number 913-339-9356, web address www.acbsp.org. Identify possible causes of network and technical problems. Implement and document a solution. Demonstrate effective hands-on use of office productivity software. Effectively communicate both orally and in written form with management, team members and customers. Demonstrate effective research and documentation skills. Recognize ethical, legal and socially responsible practices. Install and maintain network hardware and systems software. Evaluate system performance and security and take corrective action. Administrator, Network Manager, and Information Systems Manager.